Zippo!! The speedy new crime-busting motor man on wheels!! 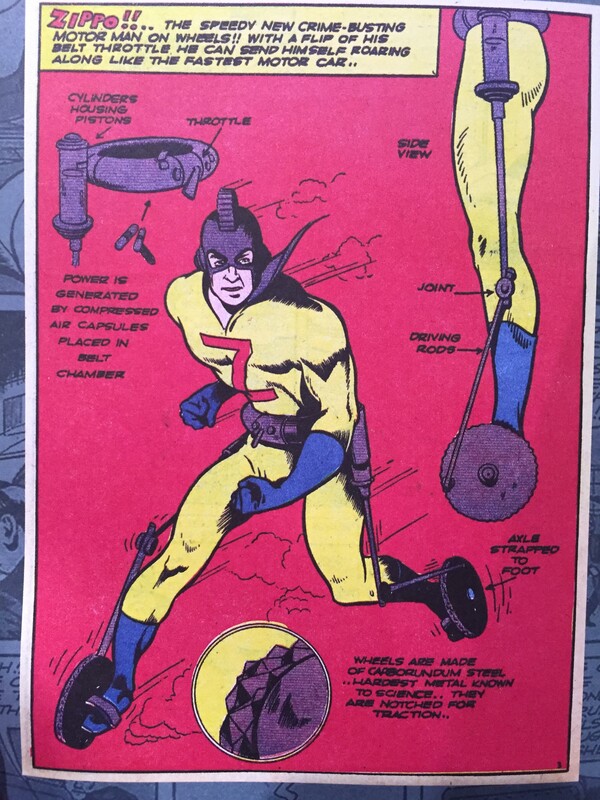 Per comic vine, Zippo was the alter ego of a private eye named Joe Blair. Like Batman, he had no superpowers, per se, but relied on gadgetry to defeat crime. He had an armored suit with motorized pistons which operated wheeled boots that enabled him to travel as fast as a speeding automobile, usually around 65 MPH. If those were real, I would totally try them out. This entry was posted in A fine use of wheels on March 30, 2016 by stern.